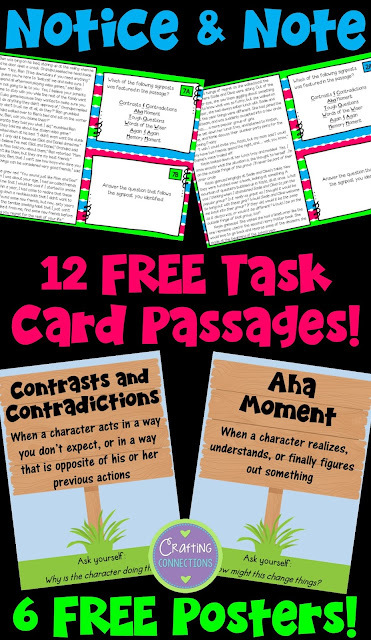 Notice and Note Signposts: FREE task cards with passages! A few months ago, a teacher wrote to me and asked me to consider creating Notice and Note task cards. 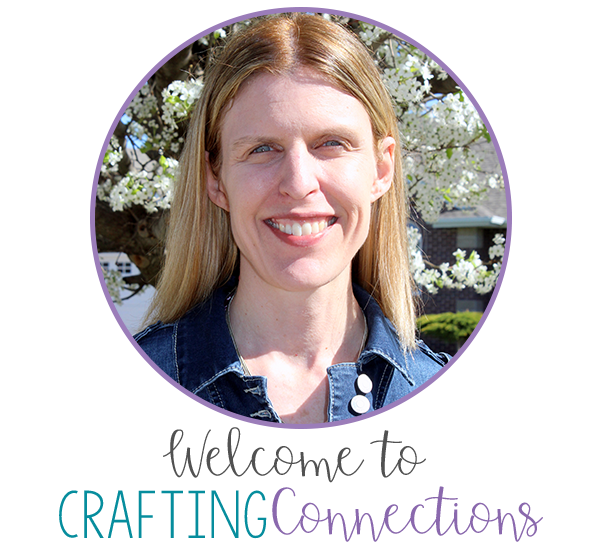 She said that her entire school district would be implementing these strategies this year. Because I was already intrigued by these signposts (ever since I ran across some photos on Pinterest! 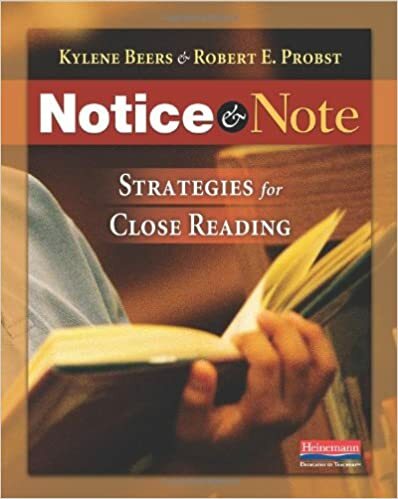 ), this email provided the incentive I needed to finally order and read the book, Notice and Note: Strategies for Close Reading by Kylene Beers and Robert E. Probst. After the signposts were identified, the authors crafted anchor questions that students could ask themselves once they spotted a signpost. These open-ended questions (listed at the bottom of my posters) require deep thinking, and they often call for students to dive back into the text to find evidence that justifies their answers. Are you interested in introducing your students to these signposts and anchor questions? I highly recommend you read the book! In my opinion, it is well worth the money, as it contains 6 well-crafted classroom-tested lessons that you can use to introduce the signposts to your students! Beyond that, it was a very enjoyable read, and it even includes a 70-page appendix full of supplemental materials like reading logs, bookmarks, signpost printables, and book excerpts! Just click on this image (which includes an Amazon affiliate link) to check out the book. 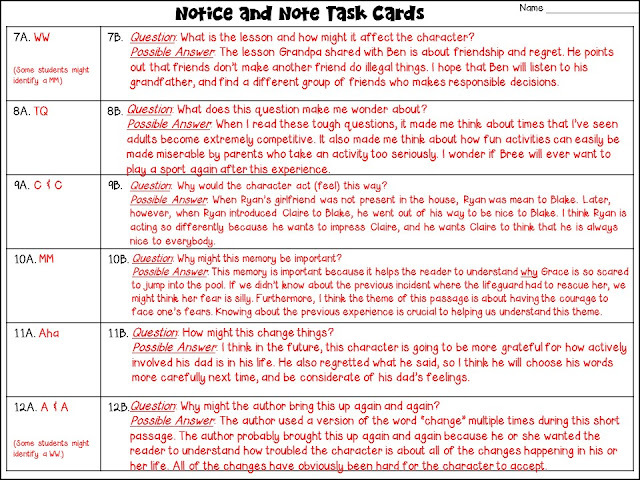 After finishing the book, I created the following task cards. Just click on the image below to download them! My intention is for these task cards to be used as a review activity after all of the signposts have been individually introduced. I included an answer sheet, but please remember that the answers shown are only possible answers. As long as students write a plausible answer that refers back to the text, I will accept it as correct. Also notice that for certain passages, students might identify a different signpost. 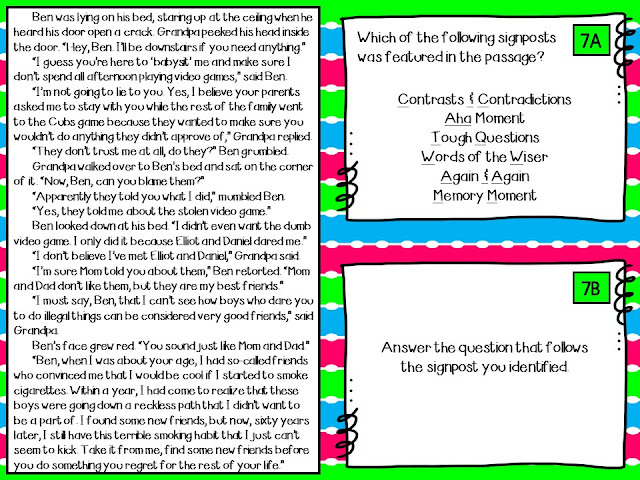 For example, for Task Card 7, I believe that "Words of the Wiser" is clearly the featured signpost. However, I realize that some students might identify it as a "Memory Moment". If this happens, I plan to tell these students that I know a memory is mentioned in this passage, but that another signpost is featured a bit more prominently, and I would ask them to reread the passage to see if they could determine which other signpost is featured. 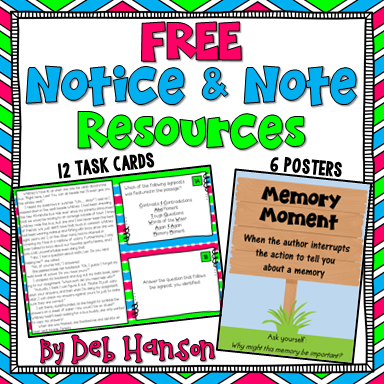 I hope you and your students are able to use these supplemental Notice and Note resources! These task cards are absolutely perfect for introducing the signposts! Thank you! Do you have the non fiction posters to match?